A great sofa and chair pairing can make any room stylish and inviting. We keep three key themes in mind when seeking the perfect partnership between sofas and chairs: design, scale and materials. 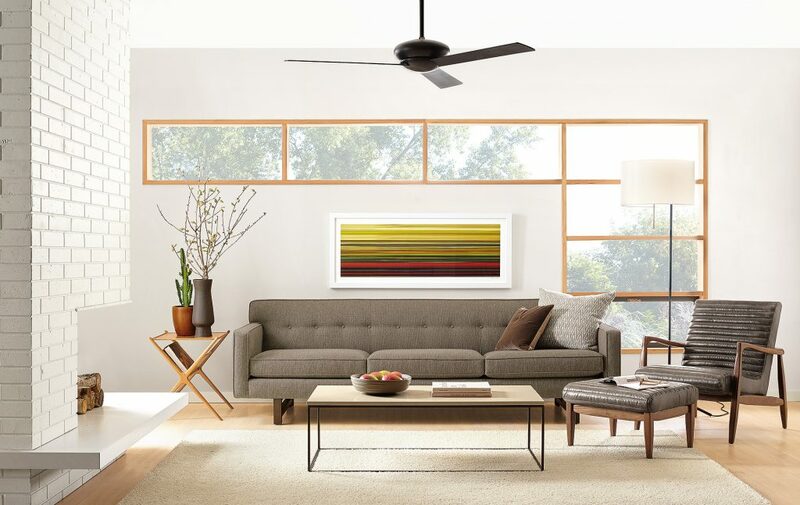 This trifecta works in tandem to help create a lounge space that’s as comfortable as it is eye-catching. We picked some of our favorite sofa and chair combos and analyzed why they work so well together. Our André sofa + Callan leather chair (featured above) are a natural combination. André’s button-tufted back and Callan’s channeled back both add classic textures to this room. These design details are different enough that they don’t compete with each other, allowing each piece to shine. The chair’s softer shape beautifully complements the tightly tailored sofa. Both André and Callan feature vintage-inspired wood bases, paired with either a comfortable fabric or leather, for a stunning mix of materials. Our Reese sofa also offers timeless, mid-century-inspired design and pairs back beautifully to the Beau leather lounge chair and ottoman. Reese’s tailored, classic look complements Beau’s equally classic, yet lounge-worthy, design. We love how both pieces harness the mid-century vibe. Because the sofa has a shorter back, the Beau lounge chair does a beautiful job of adding visual interest to this room with its high back and wide shape. (Bonus: Beau is the perfect scale to pair back to a Reese sectional, too). You can’t go wrong with a classic warm leather accent in any room. Our Wells leather sofa + Oskar lounge chair are a perfect match. An artisan chair in natural wood, like Oskar, is the perfect design complement to this timeless sofa frame. Its intricate shape and curves contrast the smooth, tailored look of the high-personality sofa, but don’t take away from it. The sofa and chair both offer a large seat but Oskar’s refined size and shape give it a light presence that offsets Wells’ grand design. Warm leathers, like our Brighton camel featured on Wells, look striking with natural woods. Our Metro sectional is the ultimate in classic comfort and style. 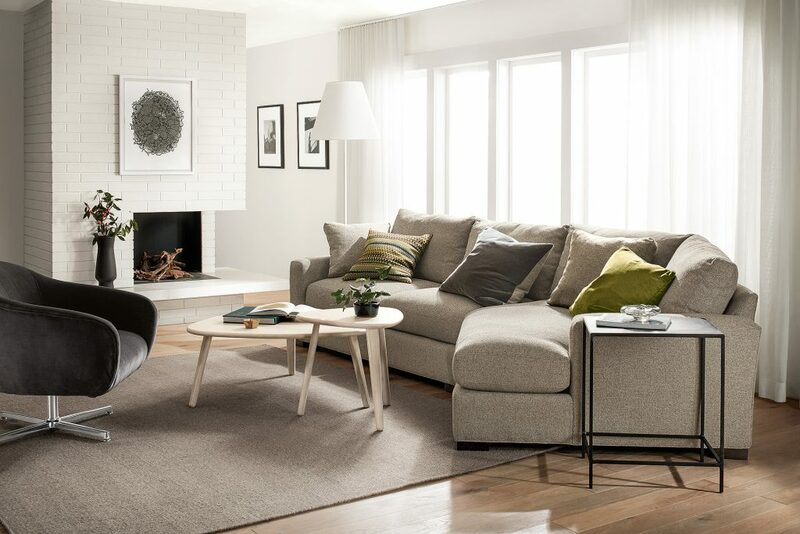 A large, cozy chair with an organic shape always pairs back beautifully to a modern, clean looking sofa. The sofa sectional features a low profile for a modern look, so the chair’s organic shape and scale lend contrast. A modern mix of materials makes this pairing undeniably fresh. I personally liked the artisan chair complementing with the sofa. A beautiful design concept with the furniture , as without a couch the home feels like empty. I apppreciate your views and posting them for us , will help lot to improve the home interior. Wow it was very interesting and i got a lot of information on this article and it was so use full and extremely decent article I got part of data on this article and it was exceptionally utilize full and I am exceptionally content with this article and it was extremely pleasant and keep post. Thank you for this information. So many times we just are shown pictures. It’s nuce to know the reason why these furniture pieces look great together. The interior designs and details are really good…. We also have a lots of furniture items in my website. Thank you for sharing!! Am after sofa and would appreciate if you could get back to me with some price rang as well as what you carry in stock for sale. will be hoping to hear from you. I must say this concept of pairing a sofa and a chair is completely unique. It sounded like a strange idea to me till I came across the pictures you have shared and well they go well with each other. Nice idea. Thanks for sharing the blog. Hope to see more innovative ideas like these. I Really Appreciate you for this beautiful article.i came to know many things about the furniture through your website.i personally thank you for all your blog postings!we have furnitue online and articles like this may help us to know more about the products aswell! !